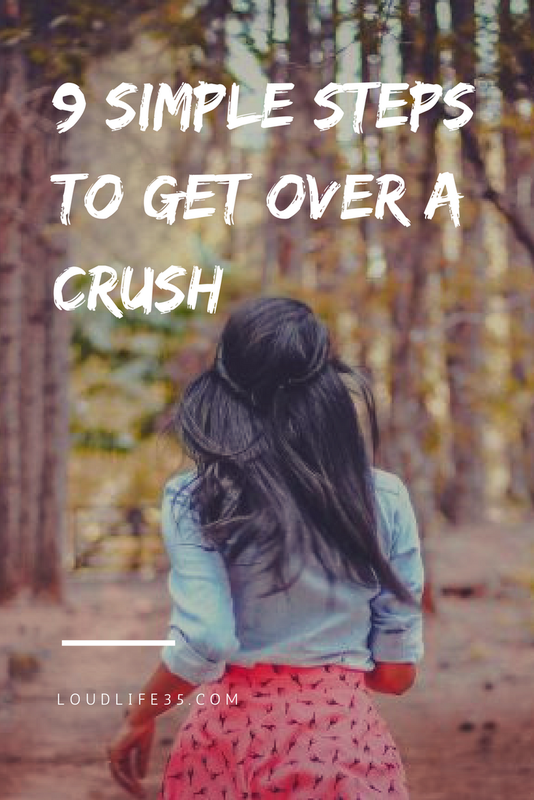 Often, we don’t get to choose the one we get a crush on. We start thinking about them every single day a little bit more, they become our first thought in the morning and our last before we sleep. And without us knowing, we fall deeper and deeper every day until we find ourselves having a big crush on them. We try to look for any signs that they might be liking us back, and if we felt anything from them, we start to daydream and fantasize about them, even though most of the times, they might have been just polite and casual. So first, you have to admit that you have a crush on someone, even when having a crush on someone might be the last thing you wanted. If it happens, denying it won’t change your feelings. It’s a great to like someone. There’s no shame in that, and it’s not about them liking you back, but it’s just that you shouldn’t get your hopes high and live in your fantasies when they don’t reciprocate your feelings. That’s why you have to tell them about the way you feel. No matter what their response would be, telling them is the right choice; if they like you as well, then here you have a chance to know them and get into the relationship you were wishing for. Now if they don’t reciprocate your feelings, at least you won’t be living in your fantasies anymore and you’ll have the chance to get over them and know someone else without you wondering ‘what if they liked me’. Now I know that we like to have whatever we wanted, and the thought of being deprived of something you have been wishing for isn’t pleasing at all. But you accept their rejection with an open heart. You know, love can’t be forced, if they don’t like you, then you shouldn’t try to force it and think that if they known you a little better, they might like you and fall for you. Love has no rules, no standards.. it comes in all qualities and shapes. And it’s not statistics, it’s simple a chemistry. You have to consider that they might not be your perfect match and that someone’s better might be out there waiting for you. One, certainly, won’t be feeling good about himself after a rejection, but you shouldn’t take it personally. You, yourself, don’t exactly like everyone out there, you can’t fall for everyone that comes your way. Certainly, some people had a crush on you and you rejected them before. Try to put yourself in your crush’s shoe, maybe he’s seeing someone, or simply he has a crush on someone else… when someone doesn’t love you, it doesn’t mean that you can’t be loved. It just means that you hadn’t met the right person yet. And most of all, the fact that someone didn’t like you back, has nothing to do with the person you are. You don't need to change a thing about yourself. I imagine the last thing one wants is someone liking them merely for their looks and not for who they are. It’s especially when you have been thinking about them for a long time that rejection would hurt a great deal. You’ll probably go to sleep with your heart aching and wake up with a heavy chest, but the next day, you’ll wake up feeling much better and so on. It’ll hurt at first, but you won’t be always feeling that way, things will get better and you’ll forget and move on. It’s true that we should be always optimistic, but that doesn’t mean to repress the pain. You should allow yourself to feel whatever you need to feel. Take it easy, if you don’t feel like going out, don’t. If you feel like sleeping, do sleep. But don’t make it worse, don’t go listening to some sad music or thinking the worse about yourself and what’s coming. It’s okay if he came into your thoughts, as long as it’s not intimate or loving. Your peace of mind is way much important than holding grudges or wishing him, who rejected you, ill. When you choose to forget about him, you choose your peace of mind. Anyway hatred never solved any problem, if anything, hating someone is like drinking a poison and expecting the other person to die. You might be hating him and thinking ill about him while he’s enjoying his life and being happy. Try to open your heart and wish him the best, I know it’s hard, but once you do it, you’ll be the biggest winner. Remember the best revenge is to be happy, even if he won’t be around to see how happy you are. You’re the one who need to see how happy you are. If you want to forget about someone, which means getting over him, you have to keep your distance. Stop stalking him on social media, delete his messages and pictures. Avoid running into him as much as possible. If you’re staying friends, you should probably explain to him that you’ll need some time apart. It won’t help that he’s around you all the time or talking to you constantly. And the best way he can help you, if he ever wanted to, is by not talking to you at all until you got over him fully. It is important that you take your time to forget your crush before knowing someone else or getting into a relationship. Because when you know someone else immediately, here’s what will happen; you’ll start comparing the new person with your crush, and since your crush’s image in your head is still embellished by your fantasies, you won’t be able to see anyone on him. That’s why you got to give it some time. Always try to see the good about every situation because life after all, isn’t about being problem-less, but it’s about being happy with what you have, wherever you are. When you move on from your crush, you start experiencing being single again, without being attached to anyone, and it’s a great thing to be single. ” I’ve been thinking that the time we have to be single is really the time we have to get good at being alone. But how good at being alone do we really want to be? Isn’t there a danger that you’ll get so good at being single, so good at setting in your ways that you miss out on the chance to be with somebody great? The fact that you built a crush on someone, doesn’t make him the perfect one you think he is. You merely loved the image you created for him in your mind, which of course isn’t like him at all. If you ever got to know him better, you might not like him. You only saw him in the light of infatuation. So don’t get dramatic thinking that he was the best one for you and that there’s no one out there better than him. This is just for you, so you know that you’re not alone in this, that everyday, people fall for the ones who wouldn’t love them back and it is okay.